There are many different forms of material handling equipment that fulfill many different roles within a factory or warehouse environment. 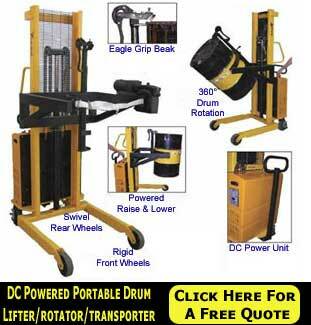 From gantries for moving heavy loads around through to pallet jacks and hand trucks for standard loads, the range of different products available to make it easier to manage your inventory and handle materials properly throughout your facilities is large enough to ensure that no matter what the job is, there is a specialist tool to get it done. Using the right material handling equipment at all stages of your production and storage processes means that you will be able to put in place the most efficient systems within your business and this will allow you to exercise greater control over the way stock is handled in order to reduce wastage and loss through damage. This can have a major impact on the profit levels of your business, as greater productivity with fewer losses caused by inefficiency will mean that your business will be able to reduce operational costs and also raise the levels of revenue that it can achieve. 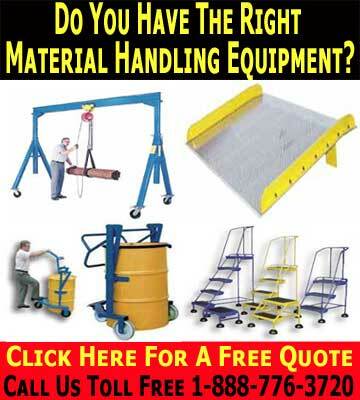 We stock an extensive range of material handling equipment for all your needs. One area that the are particularly well known for is their range of pallet storage solutions including various types of shelving and rack storage to ensure that larger items and bulk materials can be stored in an ordered fashion to make internal distribution much simpler, as well as a good deal safer for staff. An extensive range of lifting supplies including gantries and jib cranes form the heart of our range of material handling equipment, and ensure that no matter what weight of goods you need to lift there is a piece of equipment in place that can support the load safely and effectively. The range includes all the industrial cranes that you could need including a full selection of hoists to meet any needs. Many items within a factory or other industrial environment need special care to be taken when they are moved around, and in order to ensure that this is done, the correct equipment is required. From specially shaped forklift extensions that have been designed to support particular loads such as oil drums through to hoppers that are used for moving around heavy loads of powder or other bulk items, the range of material handling equipment needed by a business will depend on the actual work that the company undertakes. No matter what your needs are, you will find exactly the equipment that your business needs to succeed in our extensive inventory, as well as being able to take advantage of our expert advice about implementing the right solution for your business. 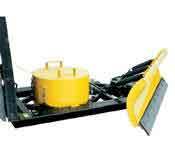 A manual trash compactor is a material handling device that is used to flatten 30 and 55 gallon drums. It is essential that you safely store and organize your LP gas storage tanks. It is also vital to your worker safety and process flow that you rapidly move these tanks in a quick, safe, and ergonomic manner. Gas cylinder storage racks and cabinets represent an investment you can’t afford NOT to make. A number of cylinder store rack are available from which you can choose to keep your facility in full compliance with safety codes. 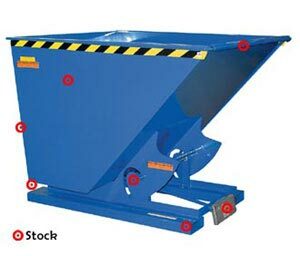 With the correct material handling products, you can ensure that your production is being accomplished with maximum speed and efficiency and minimum risk of injury. Used Material Handling Equipment companies do not have to compromise either material handling inventory or the quality of their material handling tools to save money during the current recession. Desk moves are one of the most common factors that cause headaches in any form of office reorganization. Single Drum Compactors. Oil drums have become one of the most important storage facilities in the modern industrial world, and have a huge number of uses within a modern factory. Quite simply, air dunnage bags are reuseable sturdy inflatable bags that fit in between the stacks of goods and prevent them from moving around too much. Car Stops & Plastic Skpeed Bumps! By installing plastic speed bumps in an area where you need to control the flow of traffic, you can reduce the average speed of vehicles effectively straight away. Oil Filter Cruchers! By putting the filter through an oil filter crusher, all of the remaining waste inside it is forced out as the filter is compressed.